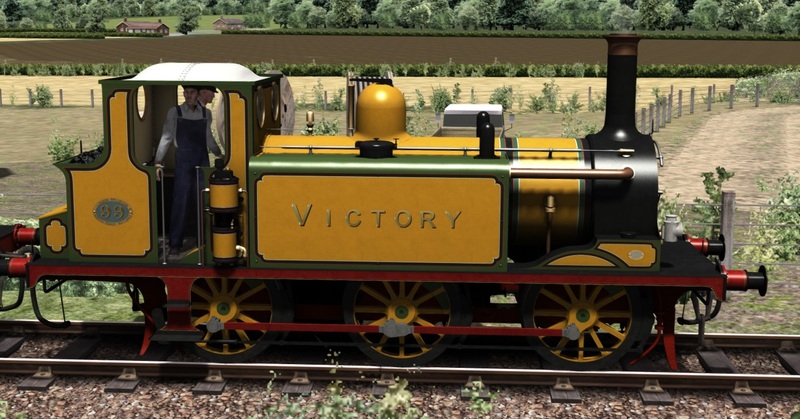 Victory Works: LB&SCR A1/A1X Terriers: What's in a name? We hope that you all had a good Christmas and are enjoying the start of 2017. We've been very busy back at work and have a few things to show this week. Today we are delighted to show the completed A1 Terrier, in game, in Stroudley's Improved Engine Green livery; seen here as No. 73 Deptford. Also shown is the dynamic naming system for this livery which will feature on the the A1 and A1X Terriers. 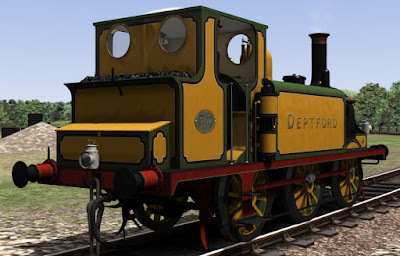 The engines can carry any name from 5 to 11 characters which covers all 50 original class members. You can also have names less than 5 characters although these will be padded so will not cover the whole tank side. As you can see the name spaces correctly across the entire tank side and begins with a larger first character. 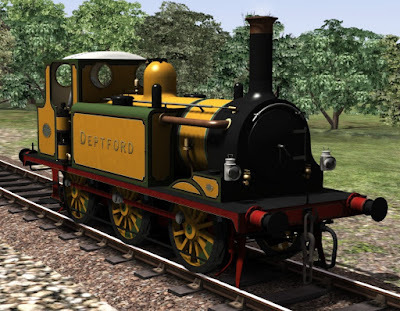 The shortest engine names were Cheam and Ewell, the longest were Bishopsgate, Whitechapel, Rotherhithe and Crowborough. The engine can also be given any number from 00 to 99 and both of these are dynamic and can be changed by simply typing the number and name into the engine number in the scenario editor. This system will also be used for any other liveries that have names anywhere on the engines. That's all for today but over the next couple of weeks we'll be looking in the cab of the A1, and also taking a look at the A1X variant, some of the optional parts available and we'll discuss the A1's Advanced Mode condenser system and water pumps which will make for a whole new experience when it comes to filling up the boiler. Maybe try reading the words rather than just looking at the pictures? The word "ANY" is what you're looking for! Why is it sad? Did we confirm liveries yet and somehow miss our own announcement? There's nothing at all sad about this project even if it were released as it sits today. 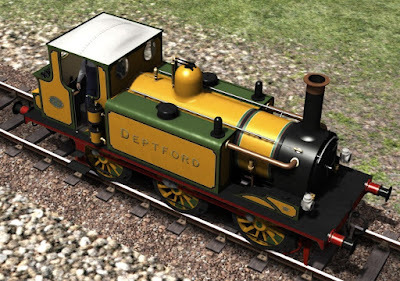 These locos will be a joy to have as is any VW product.